Explanation: Fomalhaut (sounds like “foam-a-lot”) is a bright, young, star, a short 25 light-years from planet Earth in the direction of the constellation Piscis Austrinus. In this sharp composite from the Hubble Space Telescope, Fomalhaut’s surrounding ring of dusty debris is imaged in detail, with overwhelming glare from the star masked by an occulting disk in the camera’s coronagraph. Astronomers now identify, the tiny point of light in the small box at the right as a planet about 3 times the mass of Jupiter orbiting 10.7 billion miles from the star (almost 14 times the Sun-Jupiter distance). Designated Fomalhaut b, the massive planet probably shapes and maintains the ring’s relatively sharp inner edge, while the ring itself is likely a larger, younger analog of our own Kuiper Belt – the solar system’s outer reservoir of icy bodies. The Hubble data represent the first visible-light image of a planet circling another star. . It was the last sentence that caught my eye. I hadn’t heard that we’d actually seen another planet. I know we’d figured out where other planets likely were, but because planets are generally dark we couldn’t see them. 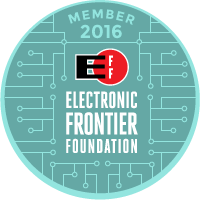 This seems like a really big deal. @the3g_ipwn: Exactly what I was thinking. 😉 The Great Eye is watching us. @nyokki: yeah, this was just released a week or two ago. It’s pretty awesome. Since you enjoyed lastnight’s so well, your word of the day. “No data – No data” It’s like a picture of my view on the world. Only with much cooler terms. 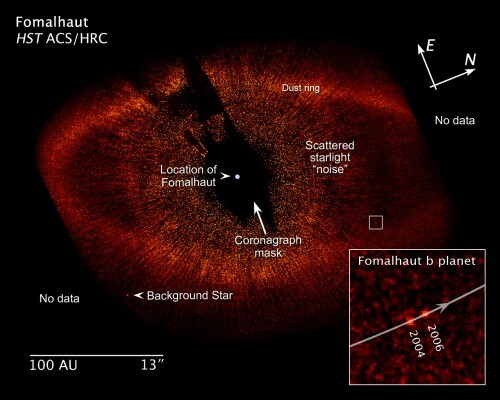 Isn’t Fomalhaut that guy from Black Heaven? @the3g_ipwn: I’ll see if I can find a way to work it in. Now that other planets have been observed, it is clear that we must invade.